It also involved boiling a lot more urine than most modern scientists would be comfortable with. Part of the reason it took so long, and came together in such a piecemeal way, is that the dynamics underlying a chemical reaction take place on a scale that's practically unfathomable to the human brain: atoms a billionth of an inch across jump from one molecule to another in a trillionth of a second, and it's only when an astronomical number of these reactions take place at once that your beaker might get warm, or fizz, or put out some toxic gas. Even today, with the most advanced technology available to us, it's still hard to get a good look at what's really happening on the molecular scale of chemical reactions. Being able to watch precisely what goes on when a plant liberates the C from CO2, for example, could be a huge boon to scientists trying to devise artificial carbon-scrubbing methods—but we run into a problem that's likely to be familiar to anyone who's used a camera: motion blur. What happens when you snap a photo with an old-school camera? The shutter clicks open, lets in a short burst of photons to land on the film, then closes again rapidly. If this process happens too slowly—or if the photograph's subject is moving too fast—your image will end up blurry or streaked, when one object reflects light from multiple different positions. Although it involves similar challenges, taking a picture of something as small and fast as a molecule isn't as simple as opening and closing a shutter. Instead, scientists use ultra-short bursts of high-energy light, created by a free-electron laser, or else they bombard their subject with electrons directly, and rely on the "shadows" that form on the other side to construct a picture. For either of these techniques to work, though, we need to be able to create ultra-short blasts of particles, to provide a quick "shutter speed". In both cases, this means creating tight bunches of electrons, so that all the particles hit the subject at once, or as close to simultaneously as possible. Too spread out, and you'll get a blurry image. We've had the ability to image individual molecules for a few years now, but doing it with an atomic force microscope—the technique used to create this image—is more akin to "feeling" the molecule with a very tiny fingertip than "seeing" it. Everyone knows that opposite charges attract; it's an indisputable (and famously misappropriated) fact of life in physics. The flipside of this fact, that alike charges repel, is equally indisputable—albeit less pithy—and it's the biggest source of headaches for scientists trying to explore the world of the ultra-small and ultra-fast. When taking a clear image means getting a bunch of electrons as close together as possible, the fact that they tend to repel one another becomes a major problem. 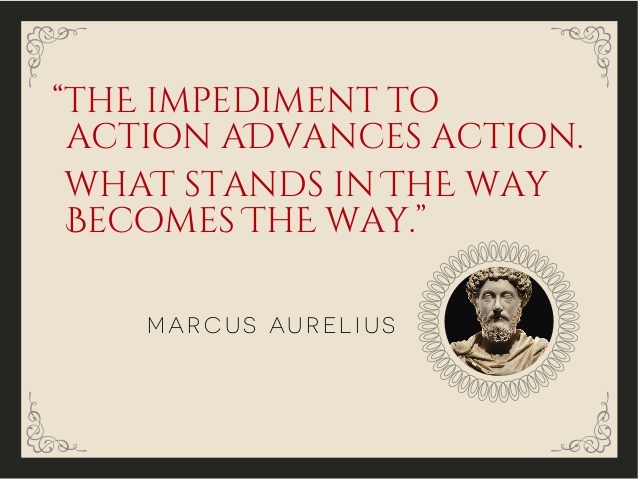 One team of physicists at Shanghai's Jiao Tong University, however, is taking on the problem headfirst, with a move from the playbook of the ancient Roman emperor Marcus Aurelius: "What stands in the way becomes the way." Headed by Zhang Jie, the university's president himself, the group has designed an ingenious but simple method to turn their biggest problem into its own solution. Tight bunches of electrons are generally produced by hitting a thin layer of matter with a short pulse of high-intensity laser light. These energetic photons knock a number of electrons free from their home atoms, after which they're whisked away toward their target by strong electric fields. It's during this flight that electrons tend to spread out in a problematic way; they can be confined to travel along a thin line with electromagnets, but trying to squeeze them into bunches results in jitter—uncertainty about the position of the bunch. But Zhang's team, with their new technique, have found success by splitting their original laser pulse into three separate pulses—one before the main "chirp", and one after. When this photon sandwich strikes the electron-rich matter it's aimed at, it looses three bunches of electrons in quick succession. On its own, the bunch of electrons in the middle would smear out, but its traveling companions keep it in line—about three times tighter than an uncompressed pulse, and without any of the timing jitter that results from other compression methods. The middle cluster shows the "probe" pulse, confined by bunches on either side. The current record for electron pulse width is around fifty femtoseconds—millionths of a billionth of a second—and while the new technique hasn't gotten there yet, the team expects to be able to with a little more optimization. Things happening on such a small scale don't seem like they'd have a big impact, but in giving us new tools to see the microscopic world more clearly, these scientists are on track to make a world of difference.